Vodafone is using “yesterday’s infrastructure” to build tomorrow’s smart cities. The operator is installing small antennae within manhole covers, as well as on lamp-posts and phone boxes. The aim is to boost speed and extend coverage of today’s 4G networks in high-traffic areas such as busy roads, town centres and shopping malls. Vodafone says the tech can then be easily upgraded to make way for 5G. Another benefit, the company says, is that installing equipment on manhole covers causes minimal disruption for businesses and citizens – no construction work or street closures are required. Further, the landscape is not altered, making the antennae instalments ideal for busy public spaces. 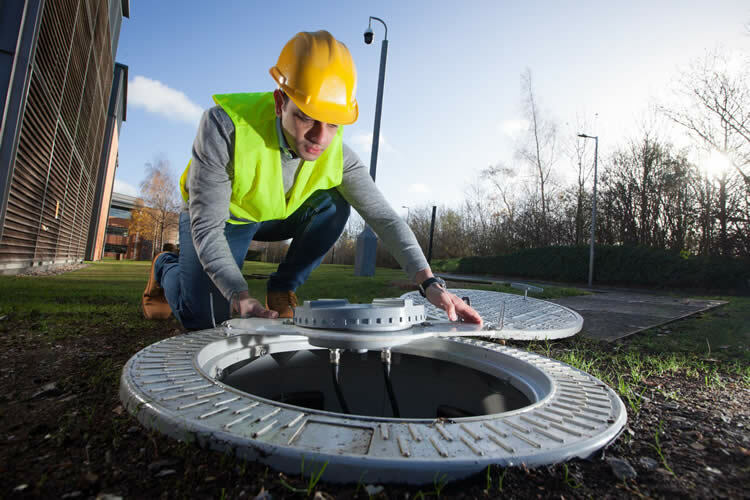 Vodafone has installed two types of connected manhole covers at its headquarters in Newbury. One is purpose-built and the other uses existing manhole covers. The antennae-equipped manhole covers can carry calls and internet access over 200 metres using only a small amount of power. Further, Vodafone plans to roll 4G out beneath its own manhole covers, which it inherited through the acquisition of Cable & Wireless Worldwide in 2012 as well as those of utility providers across the UK. Vodafone is also fitting 4G antennae to traditional phone boxes along Edinburgh’s Princes Street – it says these will be in place ahead of the New Year’s Even Hogmanay celebrations. The company says phone boxes are ideal homes for antennae in places where mobile masts would be hard to install due to the need for a power supply and fibre optic cable connections. The antennae are connected using Vodafone’s high-speed fibre converged network. There are high hopes for 5G to advance smart cities – for example, enabling connected traffic lights which automatically re-route traffic away from congested areas and allowing city councils to monitor their infrastructure intelligently and deploy predictive or on-demand maintenance. This entry was posted in 5G and tagged 5G, 5G antennae, Nick Jeffery, smart cities, vodafone on December 20, 2018 by Tim Cosgrove.